ASTA-AZ Fall Workshop/UA String Symposium at the University of Arizona, Fox School of Music, 1017 N. Olive Rd. Tucson, AZ. Room 162. Professional Development Hours, will be given to school teachers who registered for the workshop. Born in 1957, Richard Meyer is a full-time teacher in the public schools and has taught string students at the elementary, middle school, and high school levels for over 30 years. Currently, he directs the orchestras at Oak Avenue Intermediate School in Temple City and is in charge of the city’s elementary string program. He was the music director of the Pasadena Youth Symphony Orchestra for 16 years, conducting them in performances in New York, Washington D.C., Vienna, Australia, and Canada. He is a much sought-after clinician throughout the United States, and has been a featured clinician at the A.S.T.A. National Conference, and String Teachers’ Workshops at Ohio State University and Birch Bay, Washington. He has also guest-conducted All-State Orchestras in several states. Richard is a nationally recognized, best-selling composer with over 130 compositions and arrangements in print, and is the string editor for Alfred Music. 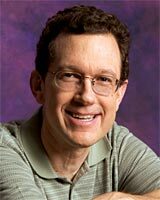 He is the co-author of several string method books, including the popular String Explorer series, and, most recently “Sight-Read It for Strings.” He and his wife, Rose, live in Arcadia, California and have three daughters. 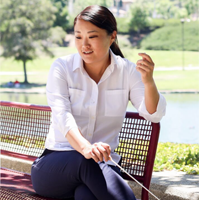 Dr. Tammy S. Yi is a violinist, strings specialist and orchestral conductor from Los Angeles. She holds degrees from Columbia University, University of Southern California and Azusa Pacific University. Prior to UA, she was the violin and conducting instructor at Columbia University and Conductor of the Manhattan School of Music Precollege Orchestras. She also taught in both public and private schools for more than ten years and founded the First Children’s Orchestra of Harlem and HOPE Children’s Orchestra of Orange County. Yi’s research interests include diversity, equity and inclusion. She presents her work on social justice in orchestral pedagogy at music education and conducting conferences around the world, gaining her and her research impressive international exposure. Dr. Yi will serve as the Conductor of the UA Philharmonic and teach courses in music education specializing in string education, democratic classrooms, creativity, and social justice.